Clear plastic headlight lens cover the headlight bulb. 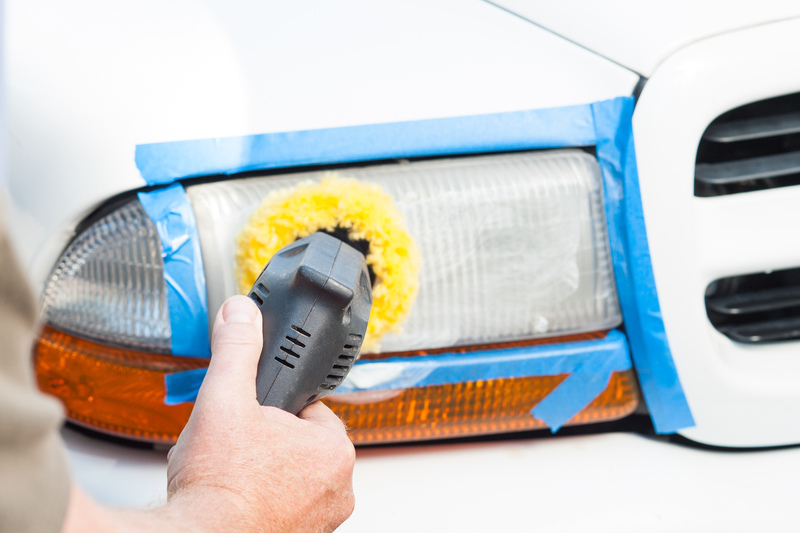 Overtime, headlight lenses become scratched and discolored, which creates a hazy appearance. 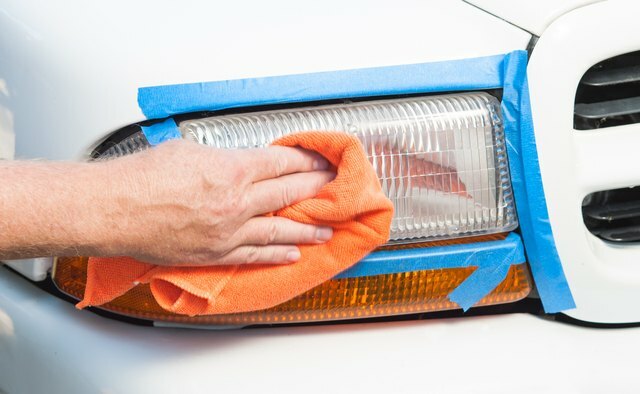 Dull headlight lenses look dirty on a clean detailed car and they restrict how brightly headlights can shine at night. 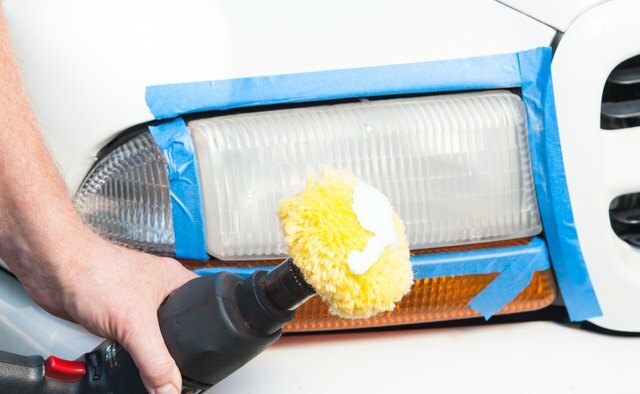 You can easily restore your headlight lenses with a professional cleaning solution and make them look like new. Put your buffer attachment on the standard drill, then squeeze a half dollar size amount of headlight lens cleaner on the buffer pad. 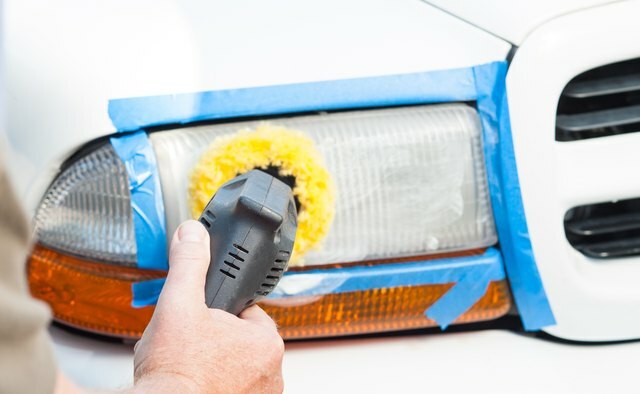 Place the buffer pad on the headlight lens and turn on the drill. Make sure to buff the cleaner into all areas of the lens. Spend about thirty seconds buffing the lens. 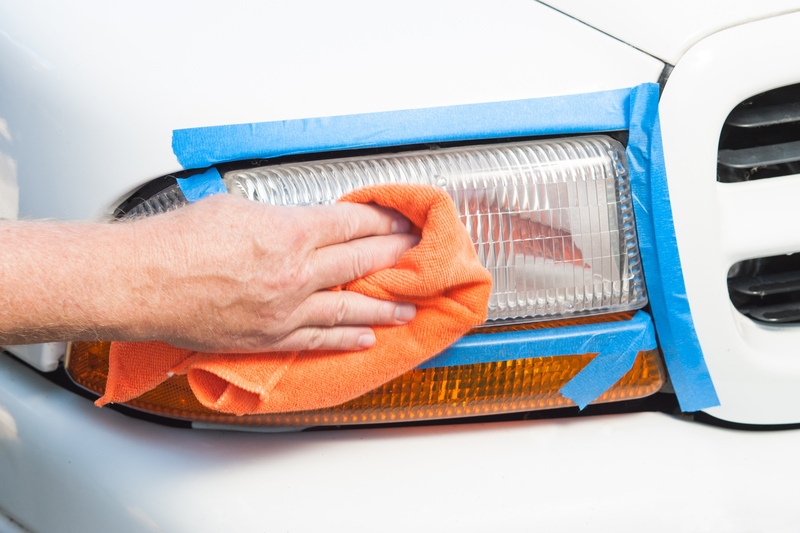 Use a microfiber cloth to wipe off the cleaner in the same way you would wipe wax off car paint. 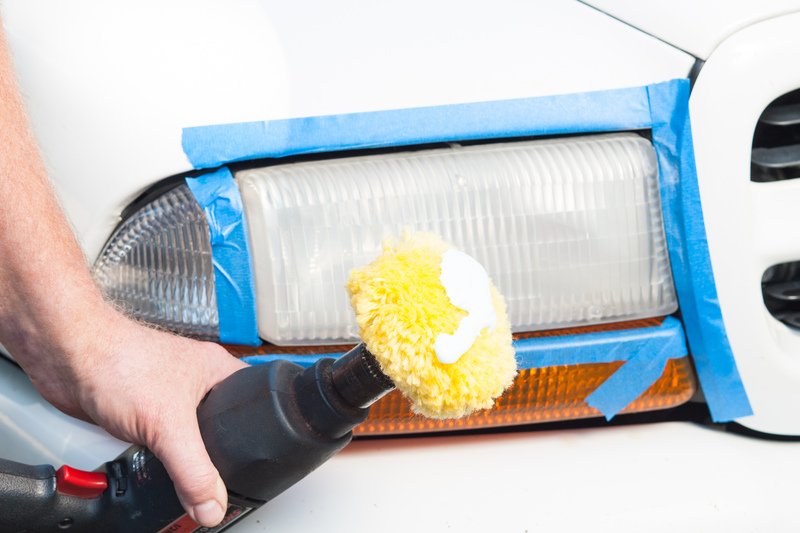 You should no longer see a dull headlight lens. The lens should be free of scratches and discoloration.